This large 575-page heirloom-quality hardcover book – 8½ x 11 inches in size – is designed for scholars, historians, and military history enthusiasts. The heavy book weights six pounds and includes 217 photographs. 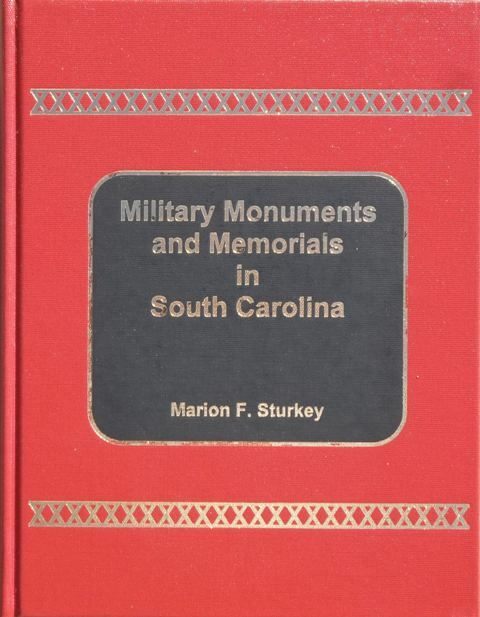 The book contains complete verbatim inscriptions and graphic displays of all inscriptions – including all lists of names – on 636 military memorial structures in South Carolina. Prefatory text includes a synopsized military history of the state. The narrative begins in colonial times and carries the reader forward through the years to the present day. Following this presentation the reader will find a chronological and descriptive listing of 61 significant wars and conflicts in which the U.S. Armed Forces have been involved since the year 1776. Following these prefatory chapters the 636 monument and memorial structures are grouped together in the county within which they are located, beginning with Abbeville County and ending with York county. The display for each structure is preceded by the following information: (1) name of the city or town in which the structure is located, (2) common descriptive name, or displayed name, (3) latitude and longitude of the structure, (4) directions to the structure, beginning at the junction of two named public roads, (5) thumbnail description of the height and composition of the structure, and (6) the month and year when the structure was documented for this project. Following this identifying information, text and inscriptions found on the structure are presented in graphic display boxes in the interest of clarity.